West Virgina--A series of sexually explicit text messages on both a 14-year-old male's MySpace page and cell phone as well as an "incident in a closet" have led to the arrest of his 27-year-old English teacher. 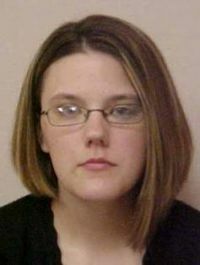 Stephanie Jo Walters, of Hedgesville, is believed to have sent the minor various messages "of a sexual nature" to him beginning in February. Later on, he told investigators that he also had been receiving messages of the same type on his MySpace page. The "relationship" then began to grow even further two months later, when Mrs. Walters and her alleged 14-year-old crush took part in a sorted rendezvous at a storage closet during lunch hours at the Mussleman Middle School, where Walters taught. "Mrs. Walters approached him and lead him to a janitor's closet in the school. He stated that they kissed and that she allowed him to touch her breasts. He stated that he did not put his hands under her shirt. He also stated that Mrs. Walters touched his chest and arms while they kissed." The investigator says he was able to view several explicit messages on the boy's cell phone and MySpace page that were sent by Mrs. Walters. A female student also reported the incident(s) to police after Walters allegedly confided in her. Walters has been charged with one count of sexual abuse by a person of trust to a child. She was quickly released from after posting the necessary $20,000 bond and has since waived her right to a preliminary hearing.